A few years ago now, my dad needed a heart valve replacement. As part of the recovery processes it was necessary for him to take regular walks. I would sometimes go with him up to the local park. What was starkly noticeable was how run down it is. 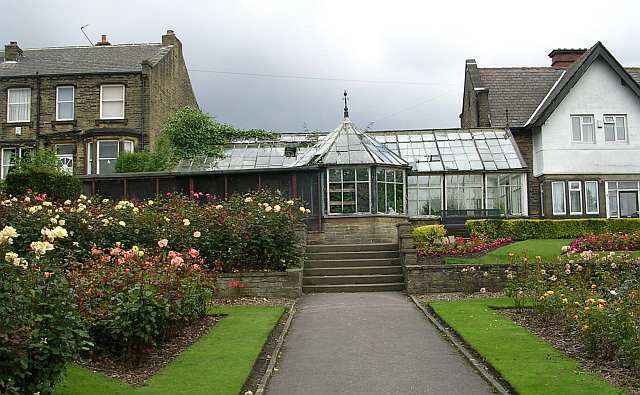 It used to have a well kept Victorian greenhouse and well maintained tennis courts. There were flowerbeds the park furniture was well maintained. Not anymore. The playground is shabby and outdated and the benches are broken. They don't even sweep the leaves, leaving a sodden, slimy mess on the paths. Many would be keen to leap on the austerity bandwagon but this is a result of years of neglect. Half the problem is that the people charged with running the parks do not care about them and do not visit them. As councils have been amalgamated and parish councils stripped of powers and funds, this kind of maintenance falls under estate management, largely to be carried out by private contractors. Parish councils are given pocket money to spend but this is not raised locally. This is what happens when the link is broken between taxation and local government. We see this dynamic manifesting everywhere. My gran use to bitterly complain that the street furniture in Ripon was ripped up and cannibalised for spares in order to maintain the Victorian look of Harrogate. Little by little, our powers and our collective property are being robbed. As this dynamic matures, these public spaces become merely assets on a screen and subject to annual budget shaving as funds are directed elsewhere. We have accountants making sweeping decisions over where we live and the things we value. They would argue that money has been invested in the parks, but the money has gone on security fencing and high durability anti-vandal street furniture making them more hostile. Little wonder that few wish to spend their time there. That is not to say that vandalism is not a problem, but what it means is that maintenance has been abandoned and the procurement policy is to minimise upkeep costs. A downgraded concern. Gone is any civic pride or public will to keep fighting the battle against petty vandalism - and in so doing, the vandals win. Everything is on lockdown and designed for the convenience of the managers. Part of this mentality is to freeze out the public form the running of public assets. There is no community ownership and consequently no relationship exists between the citizen and the environment. What we get is sterilised public spaces maintained for the sake of ticking a box. While you might say that public parks are way down on the list of priorities, especially when front line services are stressed, this matters because it is symptomatic of how everything is run now. Local government, which is increasingly not local, is a voracious cash hungry spending machine that never seems to have enough, always costs more but delivers less. Rather than government by the people for the people we have government by call centre where "local" government is more akin with a facilities management corporate. The entire service element of local government is collapsing. In this respect, as we have become more aligned with the US in terms of outsourcing, what does get done is done according to a procurement plan, where if it's not on the list it doesn't get done. This is highly visible in the US where you see street furniture in a worse state of decay with assets maintained only on an ad hoc basis. You'll see new playground swings in a park full of refuse and disused mattresses. In this I am reminded of the US hit TV show, The Wire, where a hidden deficit in education spending sees the entire city services assets stripped and key services scaled back to a skeleton crew, including critical police units. By centralising funds and fund management, the cash is always directed at the most politically expedient to the neglect of everything else. This is how cities with billions in turnover can still rapidly decline and turn into slums. In that respect some US suburbs are simply beyond salvation. Britain, however, is not there yet. We have a choice. Somehow we have to restore the public service ethos and reconnect tax collection and spending with the local community. We need real local democracy. Your local park may not matter to you, and given the omni-shambles unfolding elsewhere, it's a bit of an unusual tangent, but I have a strong feeling that if we fix what is really wrong with our parks, and the mentality behind the symptomatic decay, then we will fix a lot of other things in the process. I hate to say it but John Major is right. A cut and paste Brexit?